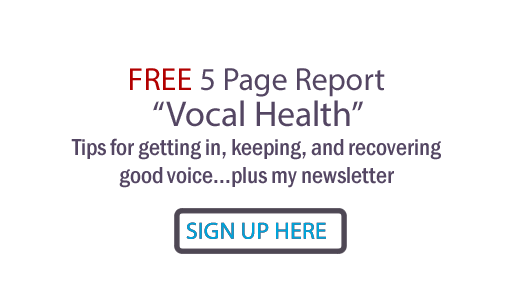 Judy Rodman - All Things Vocal Blog: Too Old, Too Young to Sing? Too Old, Too Young to Sing? Judy, I just wanted to say that I truly love the articles that you send out and the advice that you give. I don't get to travel to Nashville for my vocal lessons as much anymore for various reasons so I find other ways to compensate by gaining as much information from professionals in the industry. I would like to ask you a question regarding the industry just for an opinion if nothing else. I have recently been picked up by an Indie label who has asked me to do a project (all at their cost of course) and the decided song will be promoted to radio. I guess my my head and my heart tell me that I DO have the ability to pull this off, however, the emphasis placed on the reality shows like Idol or Nashville Star make it nearly impossible to have success as an artist unless your 17-23 years old and drop dead gorgeous. What happened to the days of people like KT Oslin, who I consider a class act?...Do you think that the industry will ever re-open doors to talent without the airbrushed package and anyone in their 30's? ?....just if you get a chance, I'd love your feedback. This is typical of questions I get all the time about age and the music business. It is unfortunate, but true, that age does matter to commercial music business. Sometimes there is jealousy from people who can no longer get played on the radio because of their ages. (and it's true- I just heard a CMA official state they are purposely courting a younger demographic, while trying not to lose the older one). If you're too old (and there's a joke that says the next signing to a major label may be a fetus), then you may get ignored because you have a few too many physical signs not conducive to good photo ops or TV. Or that young people don't want to listen to old. (I don't buy that). "The best way to predict the future is to invent it". It is my opinion that with the bottlenecks being broken by internet marketing, more is possible at this moment, and in the near future, in the music biz than has ever been before. That said, this kind of marketing takes a big learning curve and a lot of work and dedication. Creating, updating, interacting on MySpace and myriads of other social networking sites takes TIME and persistance. You can't just throw up a MySpace page and rake in your cd sales. Most people will not go to the trouble to do it, but it can and is being done. These days you only get a major label deal when you don't need one. The best thing is more of a joint venture with a major label, which can get you the massive exposure they are best at, but these deals are formed with artists who are already selling and have large fanbases. Think Taylor Swift (love that girl). Another way to get a major label deal is to place high or win Nashville Star, American Idol, etc. The problem with this is that these careers are usually short-lived. Maybe this is because they tend to choose lesser talents to compete so they can highten the drama. Carrie Underwood is a great exception to the rule. And about the rules.. the truth is, there aren't any. Every significant artist has "made it" their own unique way. So remember that tweet and ... go make somebody feel something. Then see where it goes.